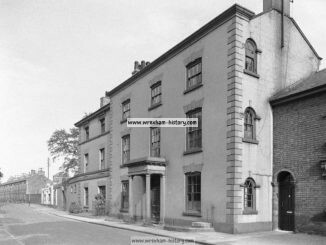 HomePubs, clubs & hotelsRAGLAN ARMS, Lambpit Street, Wrexham. 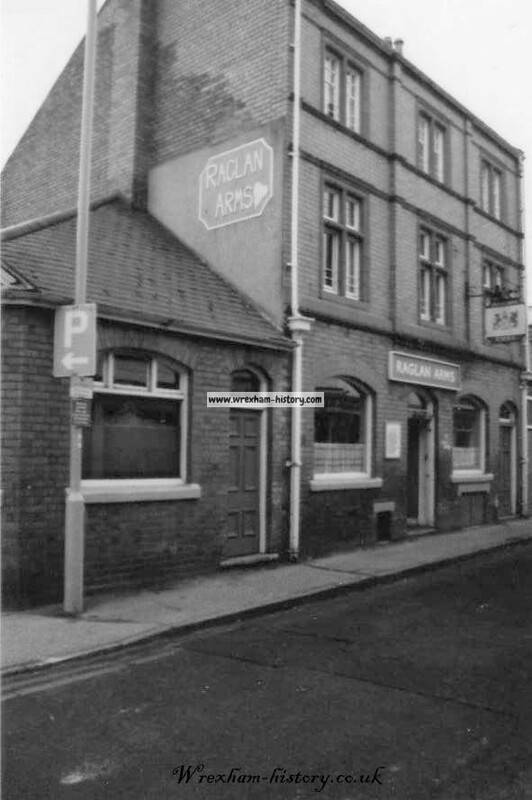 RAGLAN ARMS, Lambpit Street, Wrexham. The Raglan Arms was possibly the site of The Bull Inn? Built in the late 1850s, the name derives from Field Marshall Lord Raglan, who commanded the British forces in The Crimean War 1854-55. 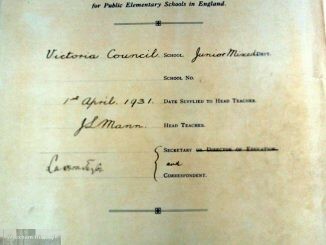 In 1876 the landlord was A. Harrison. The Pub was rebuilt in 1903 as part of the re-development of the Vegetable Market. In 1905 the Raglan Arms was up for sale as part of the Island Green Brewery Sale, it comprised of a wide hall, modern bar, front and back smoke rooms, kitchen, scullery, pantry, ale, wine and coal cellars, four bedrooms, box room, bath room, lavatory, with yard and out buildings. 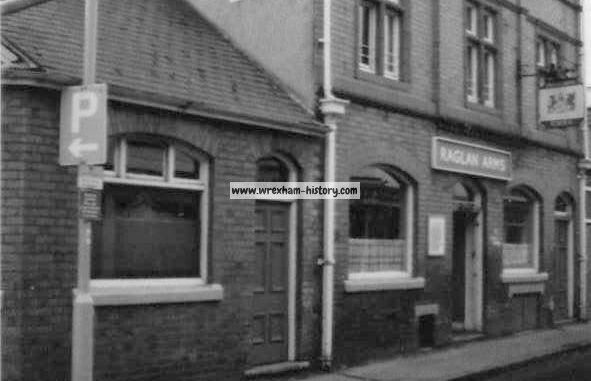 In 1905 the rent for The Raglan Arms was £35 per annum and £10 per annum for fixtures and fittings. The tenant was Mr Horace Blew. This was an Island Green Brewery house and later became a Border house. When it was demolished part of the beautiful mahogany bar was renovated and reused as the bar at what was Abbotsfield Priory Hotel (now the Lemon Tree). Clifford Davies started his singing career here with the great pianist Tom Plevin who in the 1950’s was the regular resident pianist. Mr. Norman was the manager and a lady named Queenie was one of the barmaids in the late 1960’s. In the days of the Monday Beast Market the Raglan Arms used to open early in the morning to satisfy the thirst of the many farmers attending the market. The Raglan Arms had a certain reputation that’s for sure with some of the many regulars being referred to as ‘The Barmy Raglan Army’. 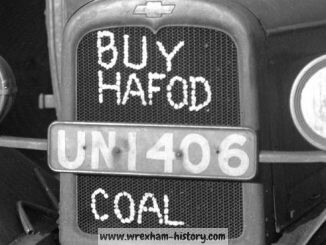 In the early 1980’s it was reputed to have the best Jukebox of any of the Wrexham pubs of that time. Former landlord was Mr. Brian Blondie whilst Dennis Dagnall was the last landlord of The Raglan Arms followed by several temporary landlords until it’s closure. It was demolished in 1985 to make way for the Henblas Square re-development. Looks a really interesting pub any more photos of inside etc ? Only pic at present, if we get more we will add them to the article.